Trump administration officials said Saturday the U.S. wouldn’t pull out of the Paris Agreement, offering to re-engage in the international deal to fight climate change, according to the European Union’s top energy official, European Commissioner for Climate Action and Energy Miguel Arias Cañete , reports The Wall Street Journal. meeting of more than 30 ministers led by Canada, China and the European Union in Montreal, according to WSJ. 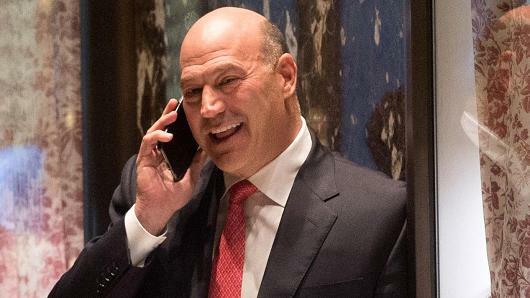 Trump’s top economic adviser, Gary Cohn, who is pro-Paris accord, is expected to reiterate the new message in Montreal during an informal breakfast meeting to discuss international energy and climate issues with the world’s top ministers. Here we go up is down, black is red. Welcome to Trumpworld. "There has been no change in the United States' position on the Paris agreement. As the President has made abundantly clear, the United States is withdrawing unless we can re-enter on terms that are more favorable to our country." “The U.S. has stated that they will not renegotiate the Paris accord, but they will try to review the terms on which they could be engaged under this agreement,” European Commissioner for Climate Action and Energy Miguel Arias Cañete said. Trump just wants to be loved. Since the Republicans have spurned him, he'll get his love from the Democrats. You relied on the mainstream media for info. So you need to retract reporting, Trump is at fault. He's drugged and isn't given access to anyone outside the inner sanctum. Dance monkey, dance!